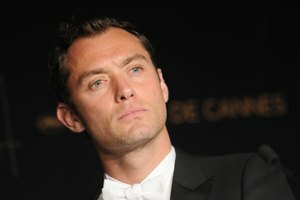 I think everyone agrees: no comb overs! A shaved head is stylish but it requires daily maintenance. A short clipper cut is a stylish easy care alternative. 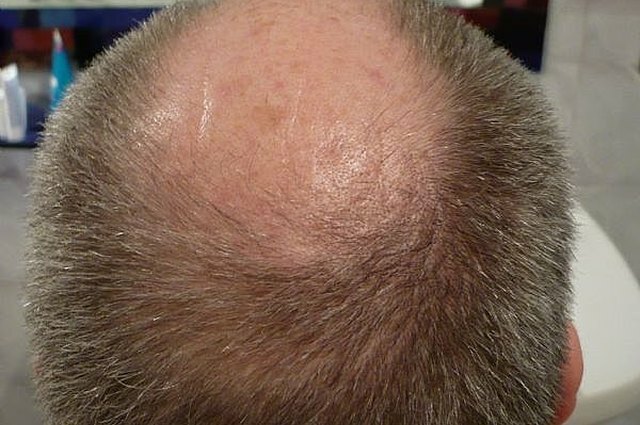 Grooming a bald head is different from cutting a full head of hair. 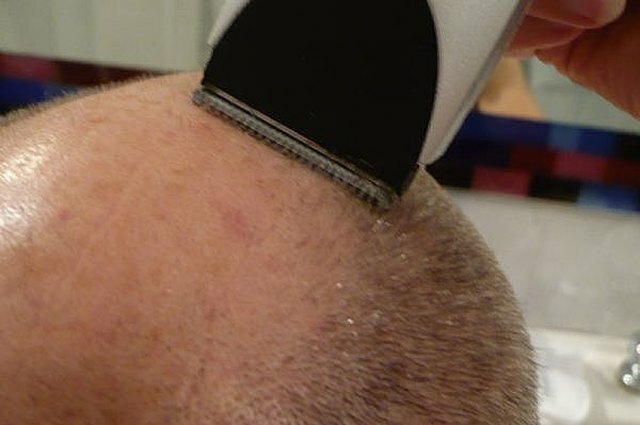 If you want that bald head to have the best hair cut ever there are a few extra but easy steps. Most barbers and stylists neglect the final two steps for a well groomed hair cut for a bald man. 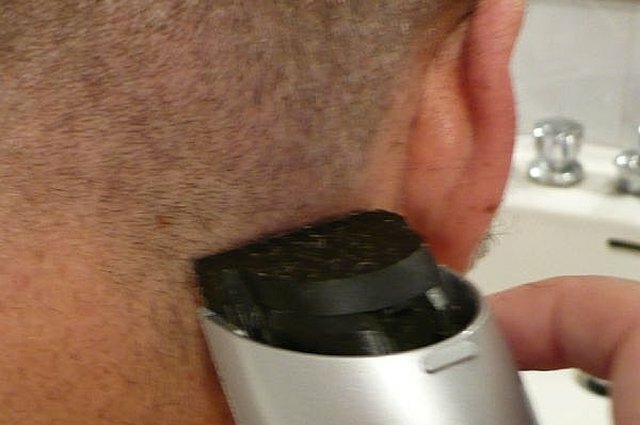 Attach the appropriate clipper guard for the length you want and clip the entire head. Rub his head to remove the hair you have clipped off. Remove guard and trim neckline evenly, curving corners. Shave neck. 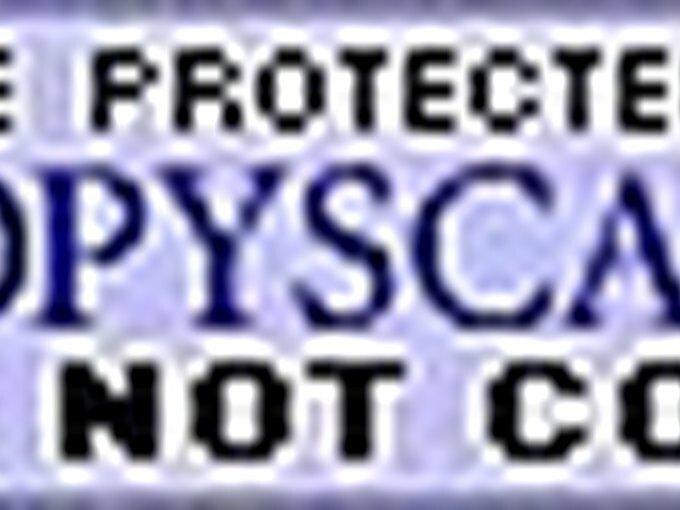 Trim carefully around ears. You may have to fold them gently down to do this. Most stylists stop here but the next two steps make the difference between an okay hair cut and a great one. 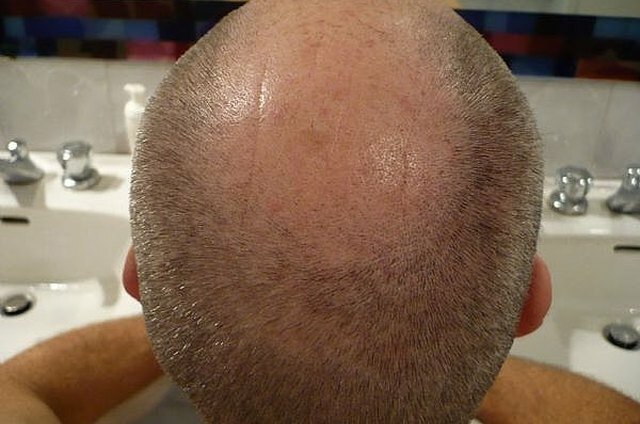 Look at the bald spot first shave any any areas where the hair is thin and sparse. Next trim until the bald region is symmetrical. Trim the higher side until it is even with the lower side. 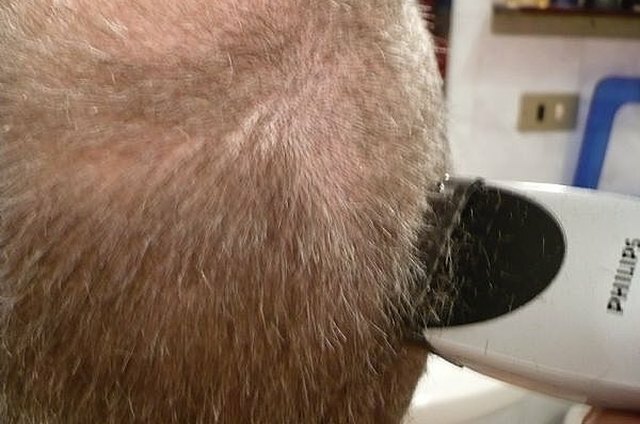 Bevel the hair on the edges of the bald spot by holding the clipper with the blade at an angle. The hairs next to the bald spot will be trimmed shorter. 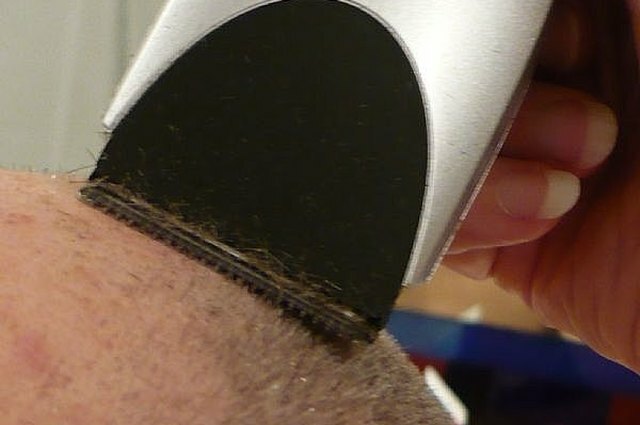 This trims bushy looking edges and is more important the longer the hair is. Enjoy a beautiful bald head. 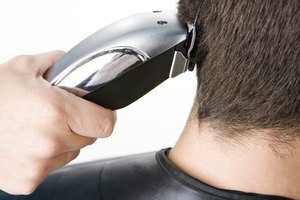 Good barber clippers are available at a barber or beauty supply store and are worth the money. The ones pictured are a light weight battery model. I prefer real heavy duty barber clippers. Before you cut note the position of any moles and cut over them gently.